Setting your price and marketing your product should go hand in hand. The pricing strategy you use can make a difference in how successful your business is and it will need careful consideration. There are a few different pricing strategies to consider when initially marketing your product. One of the issues you will have to research before setting a price will be how much your competitors charge. This should act as a gauge to how much you should be charging. Of course you may want to undercut your competitor’s price but there are considerations in doing this. 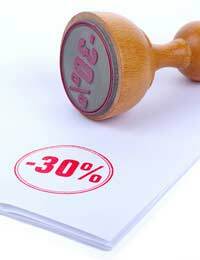 Undercutting may mean that you do not make enough profit to sustain your business in the long term. The other issue is that undercutting can cause a price war and this is something you do not want to happen. Customers will have their own idea on what the right price actually is. Not all customers think that rock bottom prices mean great value. They can perceive low prices to mean bargains, if the prices are low for a reason; i.e. a limited time offer. However, some customers will see low prices as a sign of shoddy goods that are guaranteed to break down, or a sign that the company’s service will be inferior to others. Some customers are able to recognise quality and they are willing to pay for it. Researching your potential customers will give you an idea of how much they are willing to pay for a product. You should be aiming to set your prices as high as you possibly can in order to make a profit but low enough to entice customers. If you are going to set prices high then make sure you can offer something that your competitors do not. Focusing on your product’s unique selling point will help if you are going to charge high. The unique selling point can often make a significant difference to how customers perceive your company. Promotional offers will come in the form of some sort of discounted price or limited time offer. There are many way to go about having a promotion for your company. Two for one offers, vouchers for money off, and discounts if products are bought in bulk. These are just a few of the ways to promote your company and entice customers. Limited offer low prices can make a difference to initial sales as long as customers are aware that it is a limited offer. If you are going to use the promotional low cost technique for an initial period then this should be undertaken with the intention of obtaining repeat customers. Special low price offers and sales are a good way of simply bringing customers in with the goal that they will come back again. Offering credit deals is another way to hook customers, especially if you use the popular interest free credit terms. Interest free credit should of course only be offered short term as you will make a loss if you offer long term interest free options. Linked products are a typical form of pricing strategy but one that has been proven to work. One product is sold at a low price but it will be linked with another product that will be needed repeatedly over the long term. In most cases the long term product will eventually be of a higher value than the original product. This will be even more lucrative if your company is the only one to supply both of these products. Think of prepaid mobile phones and how much credit you need to continually top up over the long term. Pricing your goods to entice in the customers will take some clever planning and much consideration. One thing you do not want to do is undercut larger retailers who will have the resources to sustain a price war. However you also do not want to set prices too high as to scare off potential customers. Setting your pricing levels at the correct level will require researching your customers and keeping an eye on the competition.